The 8X series comes with a glass body with the metal framing. 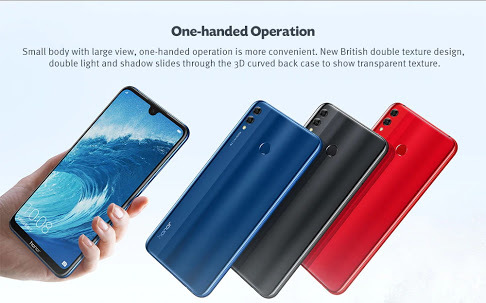 The back glass looks premium and has an attractive colour like the Honor 10. While the display is big in both the devices but different in the 8X and 8X Max. The 8X comes with a 6.5" and the 8X max with 7.12" IPS LCD panels. The screen resolution is counted as 1080x2340 for the 8X with 396 PPI pixel density and 1080x2244 for 8X Max with 350 PPI. The 8X comes with a regular notch like iPhone X and the 8X Max have the waterdrop style notch in it. So according to the looks, none of them will disappoint you. Here the performance will be good regarding the price as both the phone comes with Qualcomm's Snapdragon 636 processor with the Adreno 509 GPU. Well, the devices have different Soc in the China variants, the Kirin 710, which also is a good processor according to performance. The Indian versions are expected to be launched with the sd636. The Kirin 710 version comes with the Mali G51 MP4 GPU. Both the phones have 4 GB and 6 GB Ram variants along with the 64 GB and 128 GB storage options. The colour options are considered to be Blue, Black and Red. Price will be staying approximately at Rs. 14,499/- and 15,490/- for the 8X and 8X Max respectively. So according to the price Honor had done another good job here. 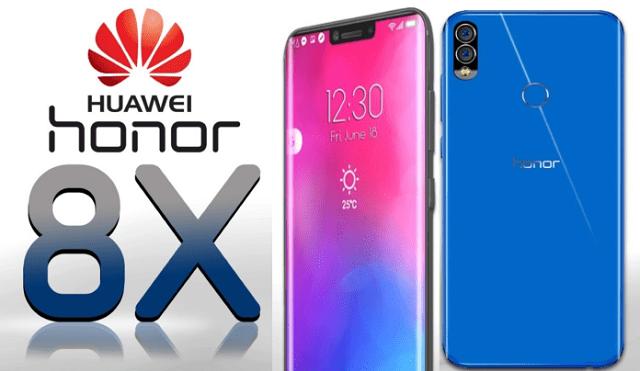 In the age of dual cameras, Honor is not much behind but still stuck with the 2 MP depth sensors as the whole 8X series comes with the same 2 MP secondary cameras with f/2.4 apertures. The primary sensors are rumoured to be 20 MP in 8X with f/1.8 aperture and 16 MP in 8X Max with f/2.0 aperture. The front shooters provided are of 16 MP and 8 MP both with f/2.0 apertures respectively. Here 8X Max has the edge because of the huge 4900 maH battery where the 8X comes with an above average 3750 maH battery. The 8X Max is rumoured to have the fast charging support with the micro USB port and all the necessary sensors included. Both the phones come with WiFi, Bluetooth, dedicated sd card slot with 2 Nano SIM slots. All the specs mentioned here are rumoured to be given by Honor as none of the phones has launched yet in India. But if the specs are true, then Honor this definitely give a tough competition to Redmi Note 5 Pro and Asus Zenfone Max Pro M1.